Vermillion Police Department | Welcome! 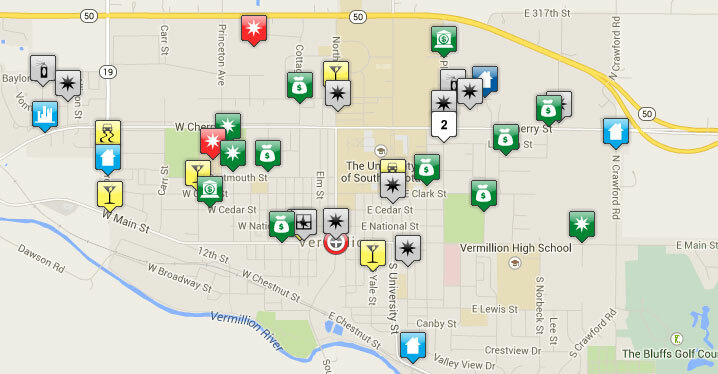 Welcome to the Vermillion Police Department website. The Vermillion Police Department is a progressive agency comprised of nineteen sworn and two non-sworn personnel. We serve approximately ten thousand residents within a diverse community that also plays home to the University of South Dakota. See the most recent messages from Vermillion Police Department, powered by Nixle.Sign up to receive messages by email & text message.